Guys, these Polish Potato Pancakes are something. Ready in 20 minutes and requiring only 7 basic ingredients, these melt-in-your-mouth tender and filling pancakes make a perfect meatless dinner! 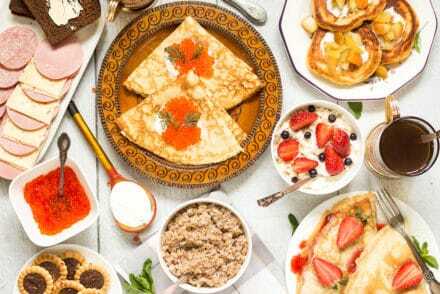 Almost all (not literally all, but a big part of) Eastern European dishes have one thing in common. 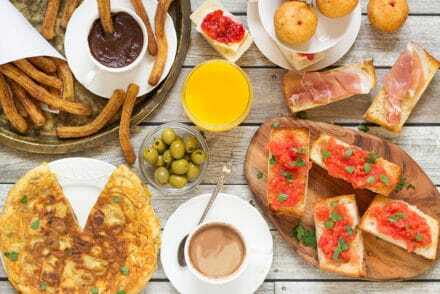 It is really hard to name the place where the dish originated, because all these countries, as recently as few decades ago, belonged to the former USSR. 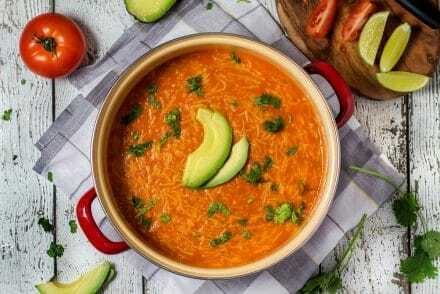 Recipes were spreading from one side of the USSR to another in a blink of an eye, and as a result nowadays there are plenty of debates on the origins of one or other dish. Potato pancake is not an exception. 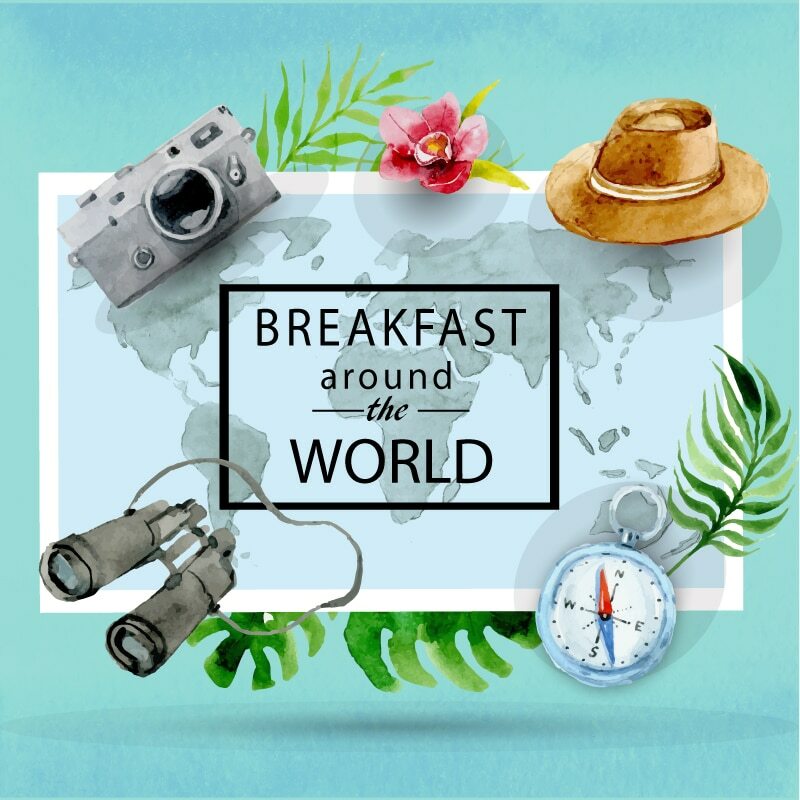 They are eaten in Poland, Russia, Ukraine, all Baltic countries, Belarus and so forth (sorry if I missed your country, it’s just too many of them). My mother made them every single week when I was a kid. 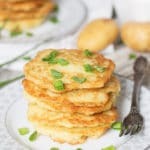 However, when I decided to make these mouth-watering guys for the blog, I checked out how people search for them, and the majority looks for Polish potato pancakes (placki ziemniaczane). That’s right. People think that potato pancakes were born in Poland (maybe they actually DID originated there, it’s hard to tell), so who am I to question this! I am not even talking about the fact that some Western and Middle Eastern countries have their versions of potato pancakes too! There are few things you should know before making these Polish potato pancakes. First of all, you should look for big, mature potatoes. They have more starch in them, and we need it badly to bind our pancakes. Young potatoes are not good for this recipe because of the low amount of starch in them. Secondly, when potatoes are being grated they tend to discolor and turn dark. There are few tricks to avoid that. You can either add few lemon juice drops to the grated potato mixture or grate some onion in it. We use the onion method in this recipe. It not only helps from discoloration, but also makes the pancakes taste better! Talking about the method of grating, it’s your choice whether you do it by hand or use a food processor. Every Eastern European will say that it tastes better when done by hand. I don’t actually know if this statement is truthful, but I grated my potatoes by hand though. It requires some work but hey, these beautiful pancakes are worth it! I also added some garlic, but you can leave it out if you desire. Some recipes use it, others not. What can I say about these super simple but amazingly delicious beauties? I love them. I loved every single bite of these tender, potato-packed guys. You will say “Hey man, it’s only potatoes, onion and garlic, there is nothing magical here”. Try them first and you’ll understand! There is not a slightest chance that you won’t like them. I am pretty sure. Just don’t forget to throw a dollop of sour cream with chives on top! These Polish potato pancakes can also be served with mushroom or meat sauce. 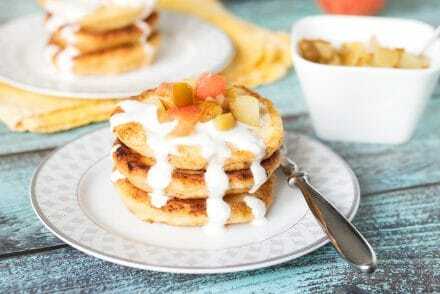 The sweet version is also possible, by adding apple sauce on top. If you want more of Polish food, check out these flaky Cream Cheese Cookies (Kolaczki) filled with apricot jam and comforting Polish Sauerkraut Soup with sausage! 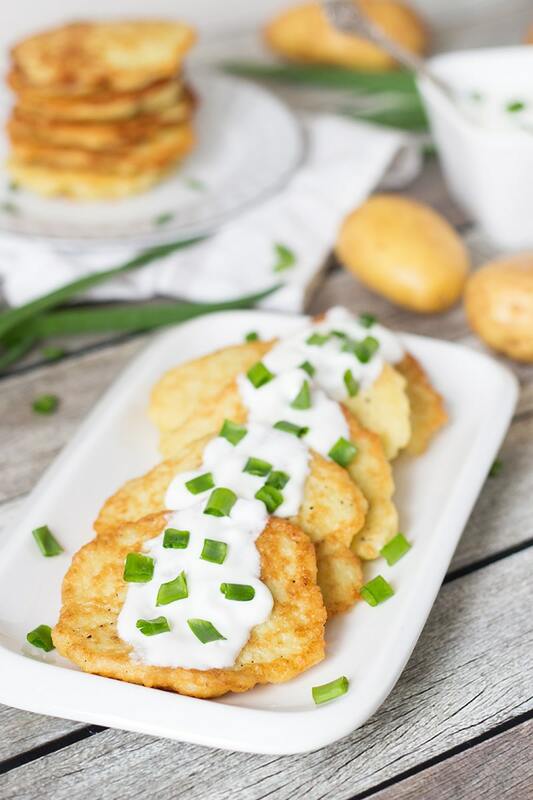 If you are looking for a perfect meatless dinner, these Polish Potato Pancakes are exactly what you need. 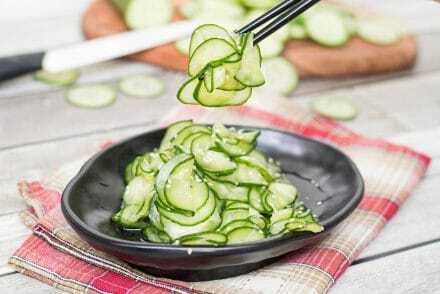 So tender and so delicious! Grate the potatoes and onion either manually, using a box grater, or with a food processor. If doing it manually, grate few potatoes, then half onion, then repeat the process. It needs to be done like that to avoid potatoes turning dark. Drain the potato and onion mixture, discarding the liquid, but reserving the starch that you'll get. In another bowl, beat the eggs and add salt, pepper (I added 1 teaspoon salt and 1/4 teaspoon black pepper) and garlic. 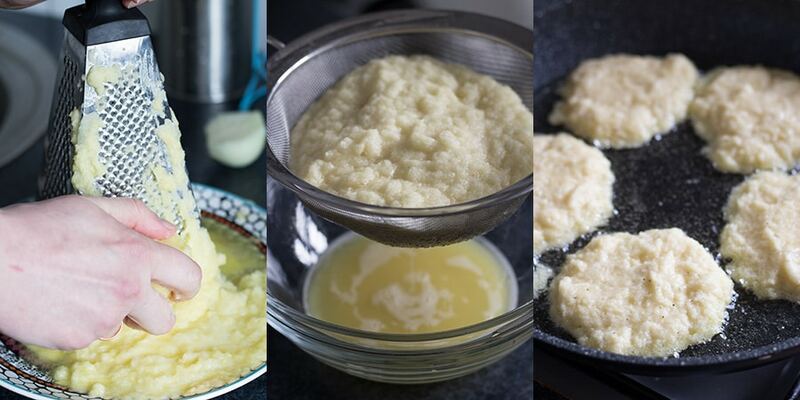 Combine the potato and onion mixture, starch, and egg mixture. Add the flour. Mix well. In a heavy skillet, heat the olive oil over medium-high heat. Drop tablespoonfuls of the potato mixture and spread out to a circle. The oil should cover about the half of the potato mixture. Cook until golden brown on both sides. Pat the pancakes dry with paper towels. 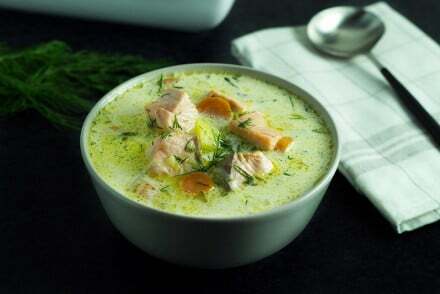 Serve with a sour cream and chives on top. Enjoy! That’s my favourite food:) We still make them at my home, even though we don’t live in Poland currently. Your potato pancakes look so good! 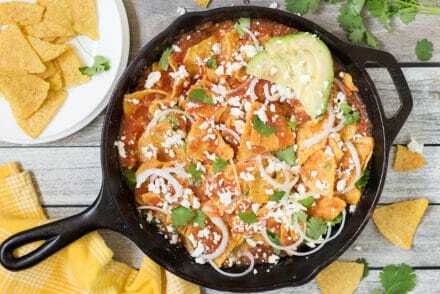 I mean, it’s not the easiest food to photo shoot, but yours look just perfect! I made similar ones many times (mostly Belorussian драники or Ukrainian картопляники with mushroom filling) but they never look good enough to put them on my blog 🙂 So good job, Igor!! Your photography is just stunning! Thanks, Elena! Yes, it was a little bit of a challenge to shoot these, so I am really happy with the result 🙂 I love Ukrainian and Belorussian versions too, all those versions are awesome! 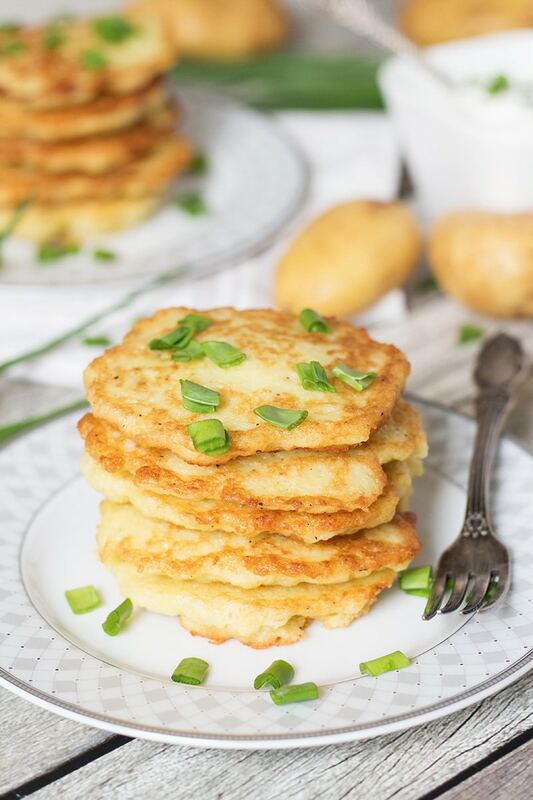 Wow, these look amazing, I am a huge potato pancake fan, pinning for later and sharing this! I made these today and they were very good! My husband really enjoyed them too. I will be making these again! 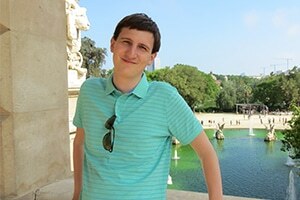 Hi Igor! 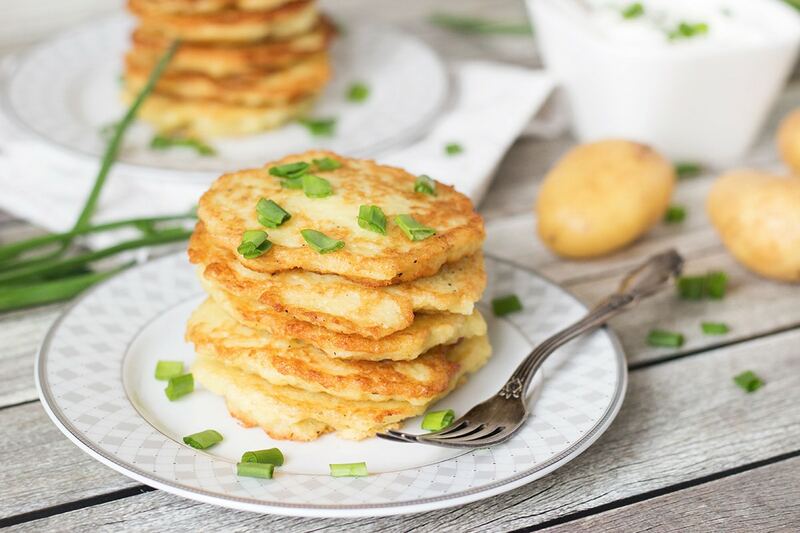 I grew up enjoying “Kartoflane Placki” (Potato Pancakes) for dinner on many Friday evenings when I was growing up, especially during Lent. 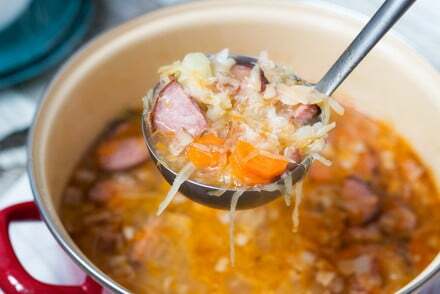 I still make them the same way I learned from my Polish mom, since her’s were very similar to this recipe. I use Russet potatoes, and I grate the potatoes & onions by hand on a box grater. I drain the excess liquid, (but I don’t understand what you mean by ‘saving the starch’ to add later). Personally, I like them best with a dollop of sour cream, but my mamma always sprinkled hers w/a bit of sugar. My hubby likes his w/applesauce, and our son likes his with either Salsa or Pesto (go figure this NEW generation!) 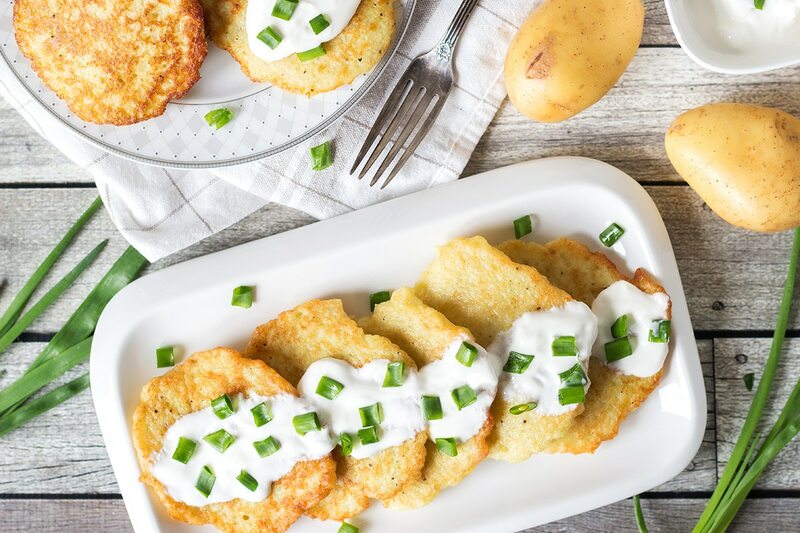 Nevertheless, whichever way anyone chooses to top them, they won’t be disappointed with these delectable “Polish Potato Pancakes”. My mom was from Pa. and my grandparents came here from either Russia or Romania. Anyway she always used left over mashed potatoes to make her potatoe pancakes. Hers were delishious but i can’t figure out how she did it mine just fall apart.